But the new version of Cydia (1.1.23) not only allows us to add features and renew the look of the user interface of Cydia, we can also do well to applications and tweaks downgrade from the package page if an earlier version available tweak the repo concerned. 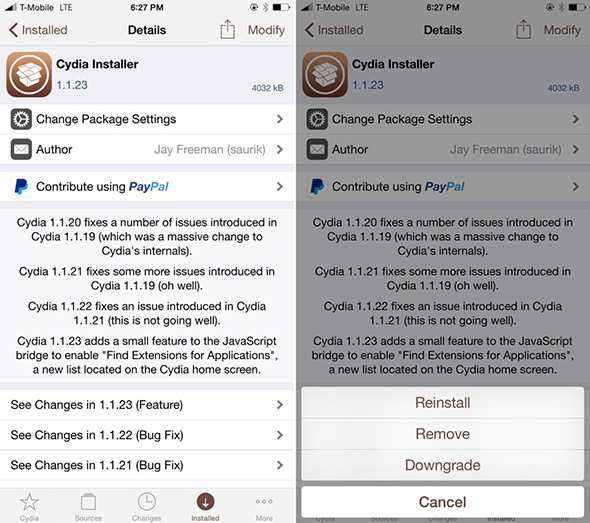 How to downgrade to a tweak in Cydia? In this article, we show how easy it is to downgrade to an app, tool, utensil or tweak from Cydia. For starters, keep in mind that we need to have the latest version of Cydia (1.1.23) and, as mentioned above, the package must have previous versions available at source or repository. 1. 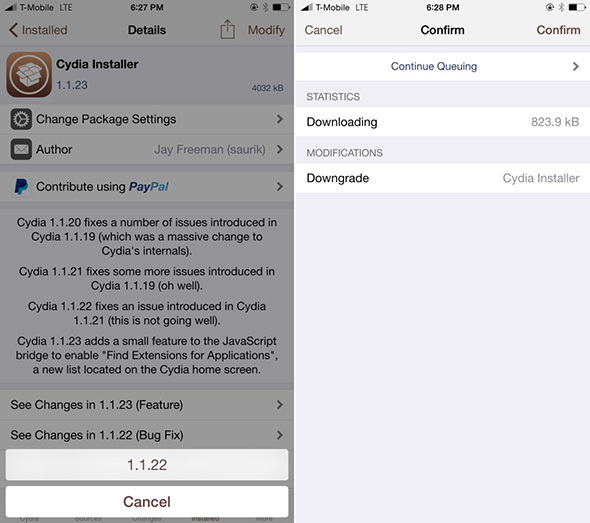 Find the package you want to downgrade in Cydia. 2. Click on the "Modify" button. 4. Select the version you want to return. That easy!Welcome to the new Cydia! And, there are many times that by a bug or a problem with a tweak our iPhone or IPAD with jailbreak stops working properly. With this method we can avoid having to restore our device or delete all tweaks to fix the problem. Just we have to do downgrade and see if the error persists.